A French Pharmacy Anti-UV Makeup Setting Spray Mist? How many morning I wish I had put SPF on, when in fact I forgot. Affordable Face SPF products are clearly a hit or miss. Can be perfect or greasy with the tendency to provoke imperfection on sensitive skin. So sometimes I skip it, because I know I will have to deal with the imperfections later, not a good solution I know. Some rely on SPF in face creams or foundations, you never know how much you actually need to put on your face to have a real protection. I do not wear liquid foundation on a daily basis (and not even for special occasion) so I had to find another solution. Now, a month or so ago, a well known french blogger called Helene came up with a video on that first SPF mist to put on your make-up (GENIUS !!!!) from the ever so famous bioderma brand (known mostly abroad for their micellar water). Bioderma Hydrabio Eau de Soin SPF 30 just landed on my basket from a french pharmacy website (the product not yet being readily available where I live), received it soon after and being amazed pretty such soon after that. The texture is like no other SPF I’ve ever tried before; very watery in consistancy, very mosturising and may be a little bit sticky but not as sticky as a traditional SPF in any shape or forms. The smell of the product is really discrete, no added perfume which is very good for sensitive skin. Though it may look like the bottle is tiny, the product spray is similar to a perfume bottle which means you are not wasting any product like you would when using a regular water spray. 4 Sprays thoughout the face is enough to protect you for a good while (you will surely need to reapply if you spend the entire day in the sun – this is a city SPF). The best bit is that it won’t move your makeup underneath and you do not need to rub it in – and you can add your favourite powder on top if you are one to touch up during the day. 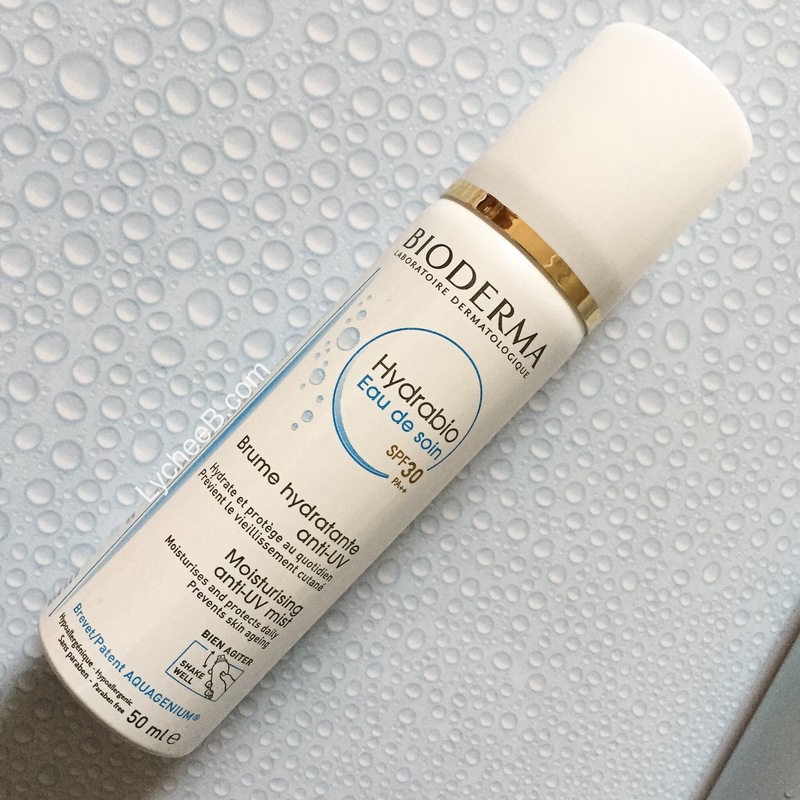 Bioderma Hydrabio Eau de Soin SPF 30 PA++ Brume Hydratante anti UV – Moisturizing anti-UV mist Moisturises and protects daily, prevents skin aging. Around the 9 euros price mark in French Pharmacy. not sponsored generally loving that product that I have bought with my own money. Previous PostPrevious Is your Nars Creamy Concealer finishing up too quickly?